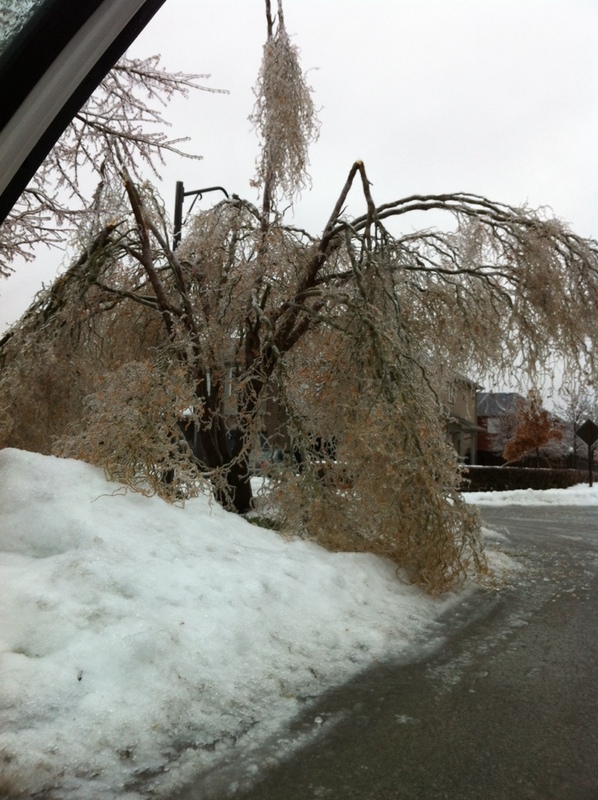 We had a crazy freezing rain storm here in Oakville! This tree couldn’t support the weight of the ice and collapsed! Craziness!